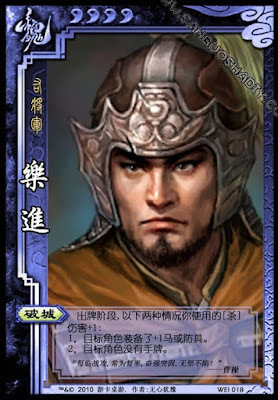 If Yue Jin attacks a target and either of the conditions are met, the damage is increased by one. 1- The target has a +1 horse or armor equipped. 2- The target has no hand cards. Yue Jin cannot increase his attacks twice. If both conditions are met, the attack damage is increased only once.